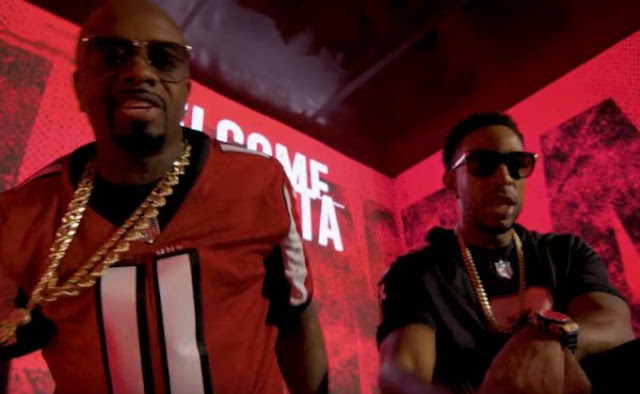 Ludacris and Jermaine Dupri reigniting the song that surfaced on 2002 with a fresh voice,tone and and more of other things that need to do with remix.However the song is dedicated to NFL team, which is the Atlanta Falcons.The name of the song has some word added which is ‘Welcome To Atlanta’: Falcons Remix,differentiating with the previous hit name ‘Welcome To Atlanta’. The team back song,as for the beast,it still maintain the sounds but talking about the verse i think there's a great bars we need to listen on.It also show some old stuff leaving the audio seem the same but indirectly giving us a new version of the song. The Lyrics can give a simply way of understanding the song more perfect,But before you check that on genius,below is the audio,streaming direct from YouTube.